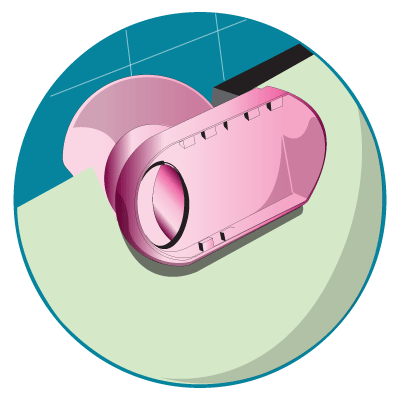 The OdourVac Toilet Ventilation System solves the problem of toilet odour in a quiet, unobtrusive manner. Odours are drawn from the toilet bowl through the cistern’s over flow pipe and are exhausted by the ducted ventilation system to outside the home. 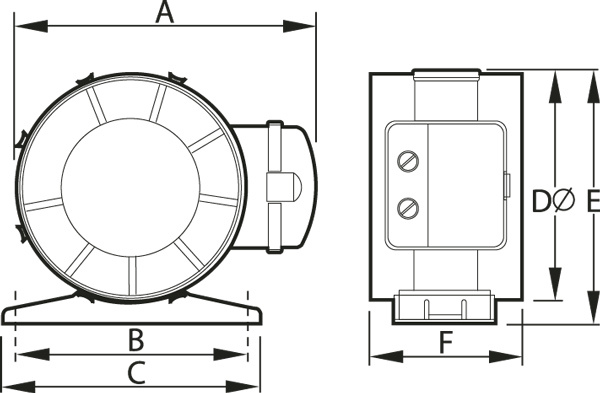 The fan is supplied with a 3-pin plug and lead and is easily activated by using either a light switch, a separate switch or a movement sensor (switches and sensor purchased separately). Creates an odourless toilet by removing odours directly from the toilet bowl. 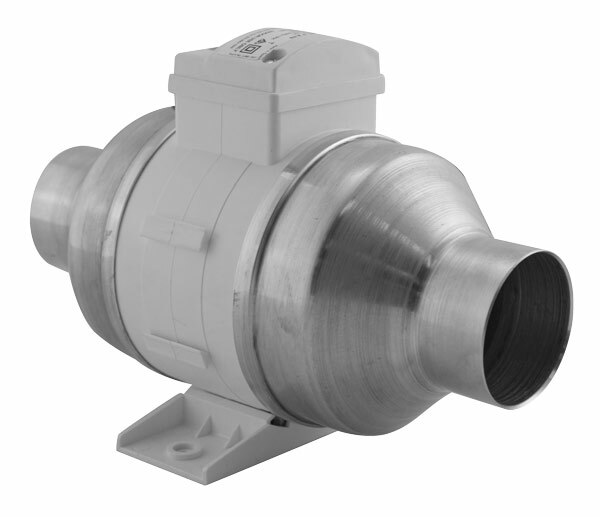 Adjustable air flow ensures odours are removed without draft. The system complies with AS1668.2-2002 and BCA 2010. Compatible with most toilet suites. 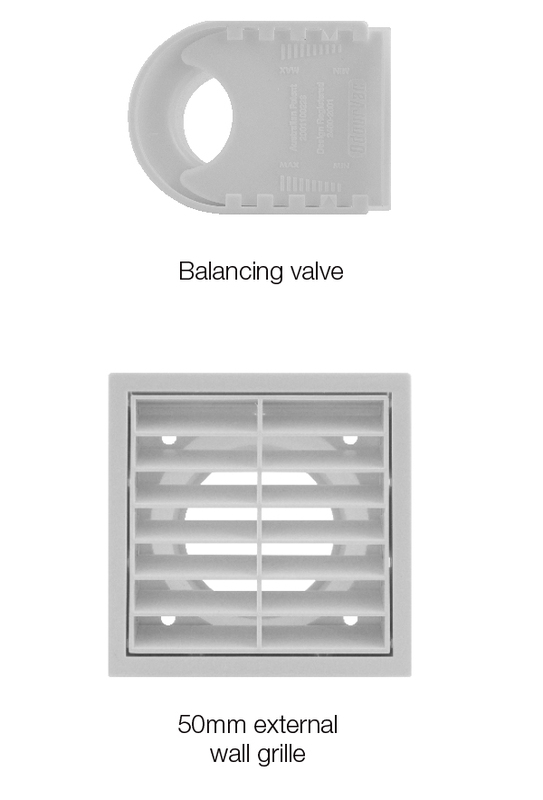 The system features a balancing valve that is fitted within the toilet cistern. 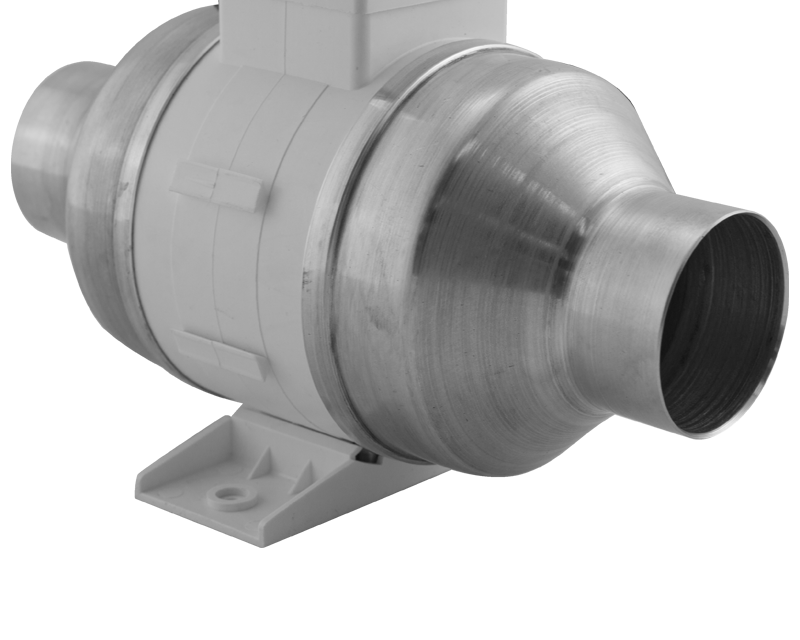 It adjusts the air flow to maintain a fresh odour free environment while minimising drafts and noise.